Manav Rachna International School Charmwood organized an orientation programme for the parents of students promoted to Grade VI. The program aimed at providing information about academic changes, exam pattern, and various curricular and co-curricular activities. The parents were also acquainted with the new practices which will focus on Soft Skills; Annual Projects based on UN Sustainable Development Goals; Guided Academic Workshops and Integrated Digital Technologies. They were informed about the Atal Tinkering Lab (ATL) which aims at enhancing their creative and innovative skills. 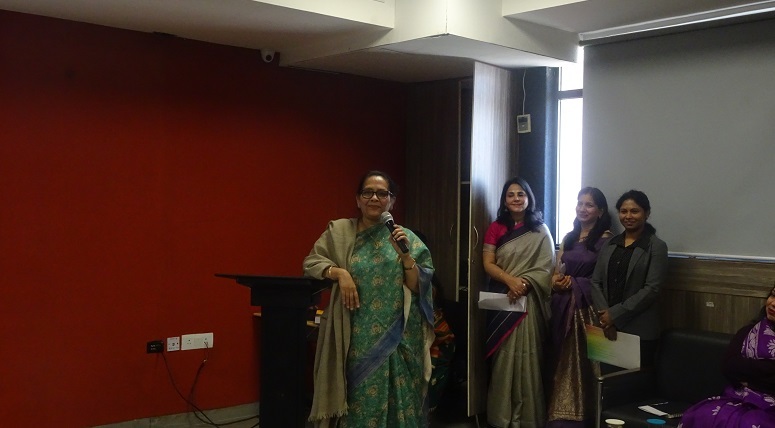 Director MRIS, Ms. Sanyogita Sharma graced the occasion and apprised parents about the pedagogical changes from the new session 2019-20. Principal, MRIS- Charmwood, Ms. Arpita Chakraborty mentored the parents for the smooth transition of their wards from primary to middle wing. A team from Apple interacted with the parents on the benefits of collaborating technology with curriculum. The session concluded with a vote of thanks extended by the Headmistress, Ms. Maya Vijayan. It was an interactive and fruitful event.